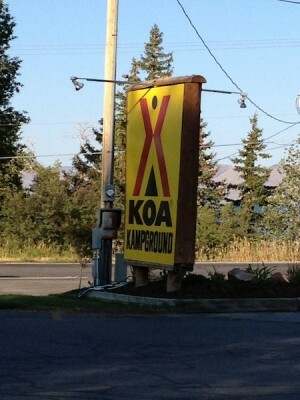 It surprised me how organized this KOA was. 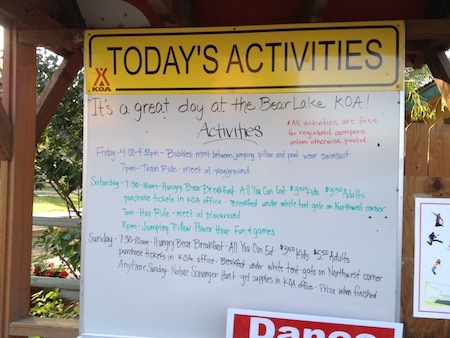 They had activities and pancake breakfasts and so many things to do that we never actually went to Bear Lake. We just enjoyed ourselves at the campground the whole time. 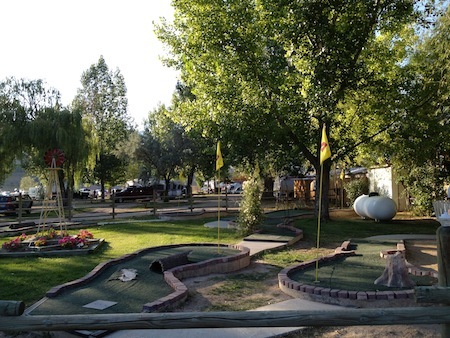 Like many KOAs, they had mini-golf, but this course was huge and beautiful. Most importantly, there was no charge to play, so we had a lot of fun without having to spend extra money. They also had bikes and surreys to rent. 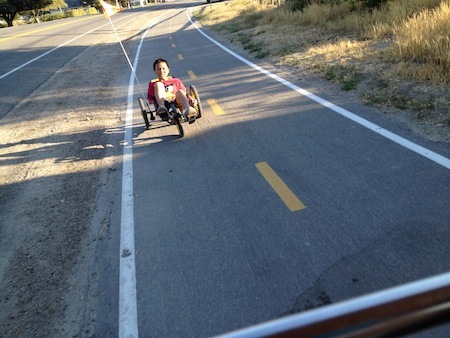 We rented a four person surrey, but Sean wanted to ride one of their bikes. He loves those low rider kind of bikes and I snapped this picture from the surrey as we drove down the street to the ice cream shop. 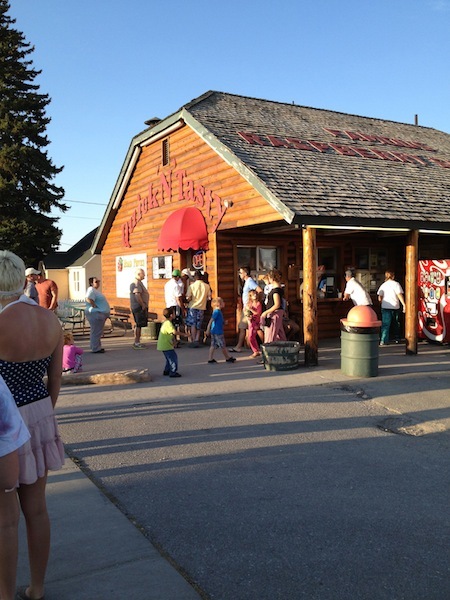 There are a few places to eat in Bear Lake, but in August, they are all PACKED with people. Expect to wait thirty to forty-five minutes for food at any of the restaurants. It was yummy food, but this is one of those times when it might be better to just cook in the camper because there are just so many people wanting food at the restaurants there. 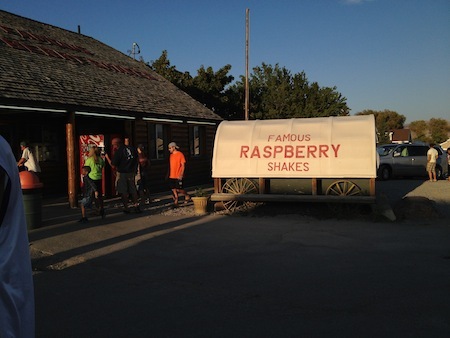 The wild raspberries from Bear Lake are famous, so their raspberry shakes are a high commodity. There was a huge line at the ice cream shop, but the shakes were worth it. Yum! We had such a fun trip up to Bear Lake that I’m surprised we haven’t gone back. It was so nice and relaxing that I wish I were there now, except that right now, the temperature in Bear Lake is 34 degrees. Probably best to wait for summer for that trip!